With the Ab Chair, you can tighten and tone your upper abs, obliques and lower abs. The advanced "crunch" system behind the Ab Chair works your abdominal muscles with a fuller range of motion than traditional crunches and sit-ups, with less strain on your back and neck. Because of the full-range of motion provided by the Ab Chair, your workouts focus to strengthen the all- important core muscles - including the abdominal and back muscles where your functional strength originates. 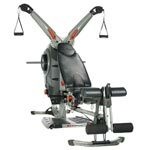 Not only will the Ab Chair help you look better, it will also help you function better - giving you improved strength for day-to-day activities and lifting. Plus, the full recline provides inverted stretching, letting you remove some of the compacted stress on your spine and neck muscles. Built to last, with a rolled steel frame, the Ab Chair can support up to 250lbs (290lbs for the Ab Chair Deluxe), yet it can fold and store just about anywhere. 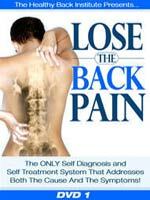 The simple adjustments allow you to control your level of resistance, from beginner to immediate to advanced. As your abdominal and back muscles strengthen, your workout can increase to match your new strength and definition. There is also a deluxe version of the ab chair. 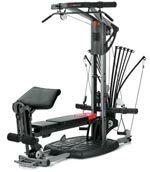 It has the same features of the Ab Chair, plus additional support (up to 290lbs), a metal "grip bar" and an Ab Chair Deluxe exclusive Variable Resistance feature that allows you to set how easy or hard a crunch you want to achieve. The Ab Chair and Ab Chair Deluxe were designed to provide the same features and results as other high-priced products, like the Ab Lounge, including the durable rolled steel frame, adjustable foot pedals and the targeted "crunch"system. 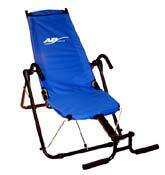 However, these Ab Chair products come at a much lower price compared to the Ab Lounge Chair. Below, we quickly compared the Ab chair, and the ab chair deluxe version against the more expensive Ab Lounge Chair. Quickly folds to store anywhere! 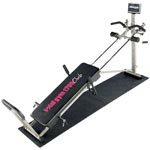 Variable Resistance feature allows you to set the level of difficulty for your crunches! As you can see, the Ab Chair deluxe comes with the most comprehensive features and yet, it costs less than the Ab Lounge chair. While the ab chair basic model is less expensive than the ab chair deluxe it also comes with less features, and supports less weight. Regardless whether you go with ab chair deluxe or the original, you will be getting a better deal compared to the Ab Lounge Chair.